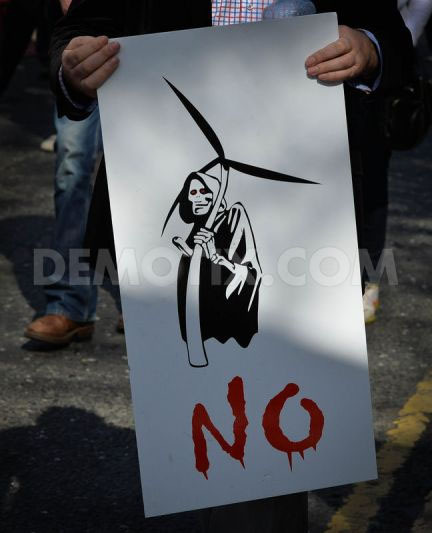 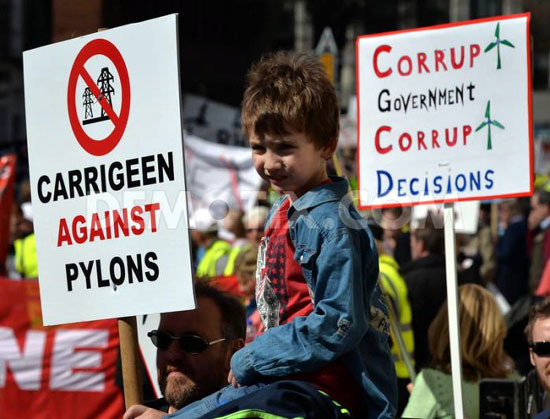 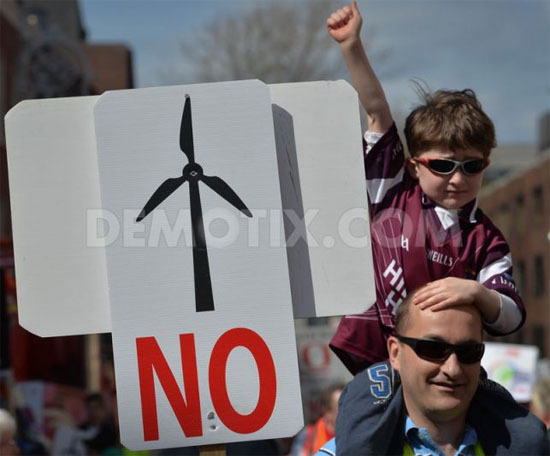 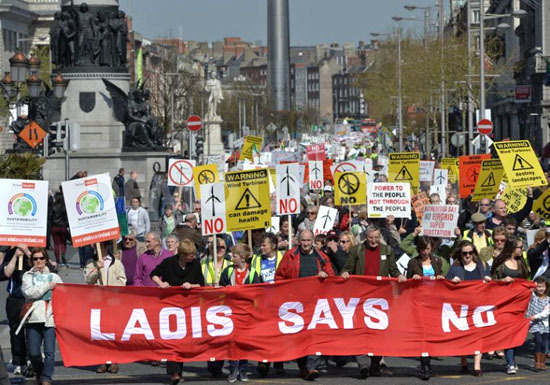 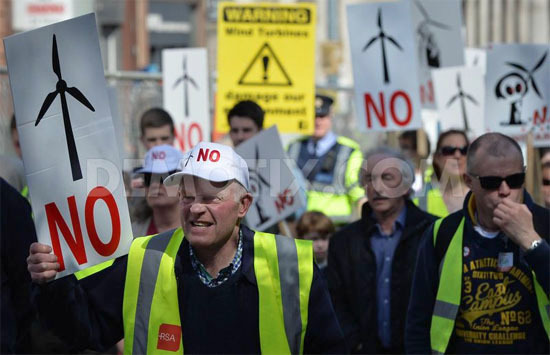 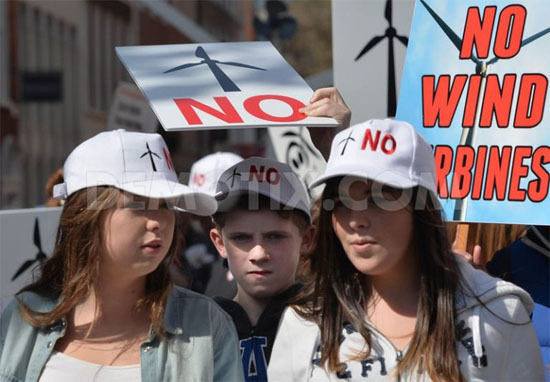 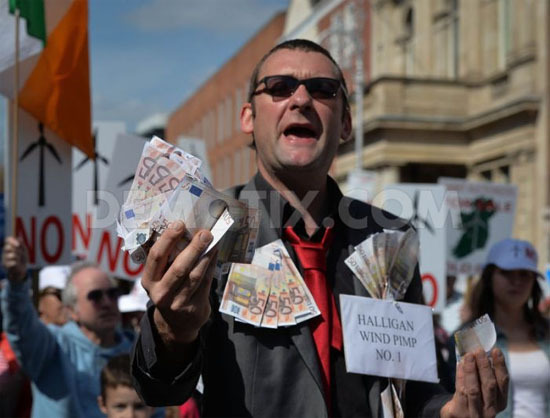 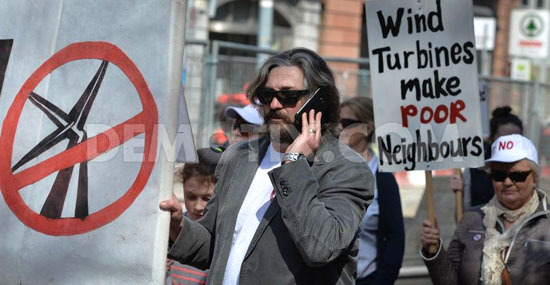 7000 protesters from all Island of Ireland gathered in Irish Capital to protest against pylons and wind turbines. 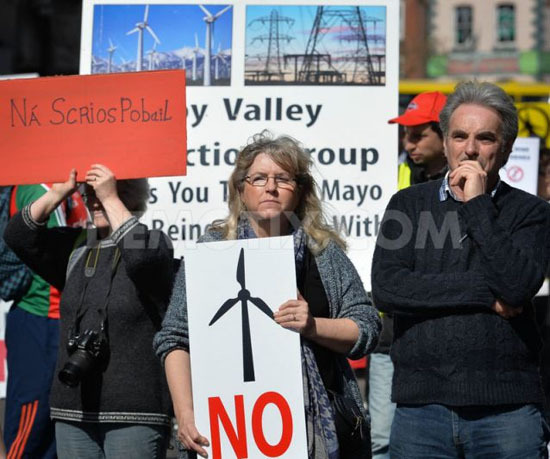 On Tuesday, April 15th at 11.00am, all the groups will be joining together once again for a peaceful protest march from Parnell Sq in Dublin down to the Dail and we hope that everyone affected will make a concerted effort to join us in making a stand against the government in their plan to industrialize our counties. 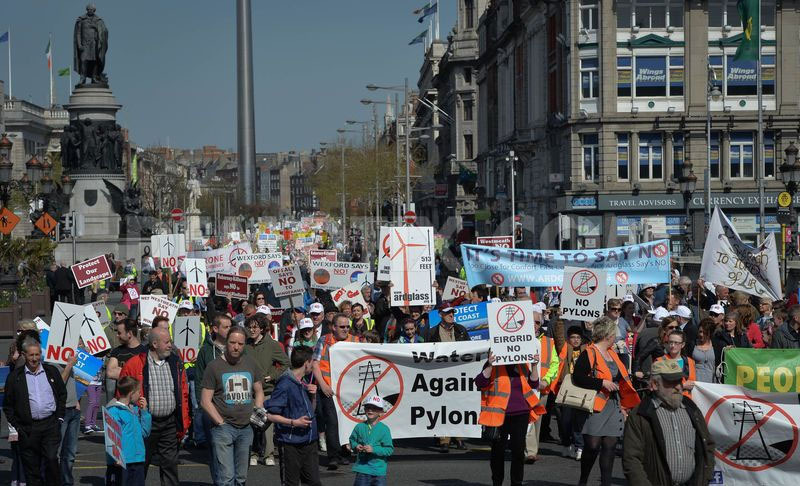 Industrial Turbines, Pylons and Substations will change our country for generations to come. 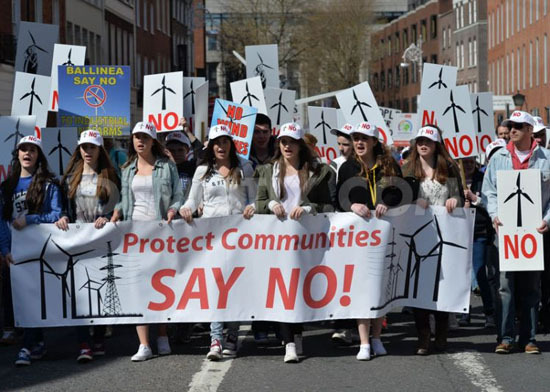 Ireland is renowned for its Green fields – not metal structures blighting our landscape and in close proximity to our homes. 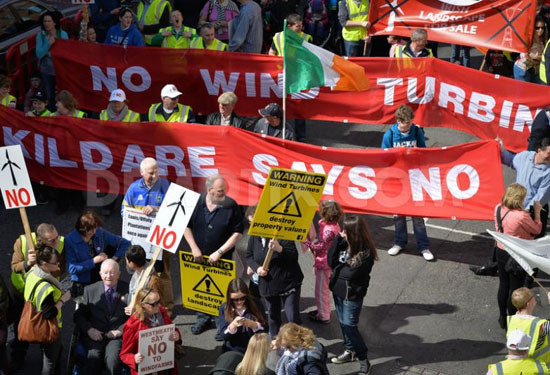 The energy policy for Ireland is affecting thousands of residents. 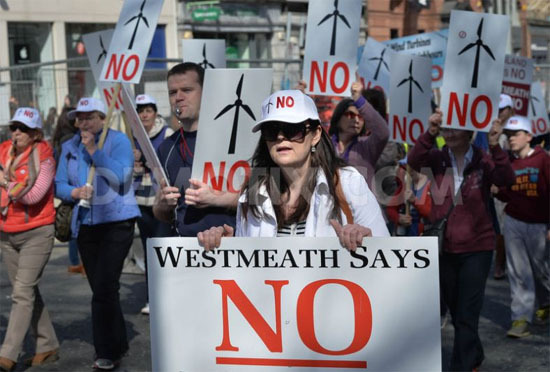 The Wind, Pylon and Substation groups are demanding a “Rethink” of this policy. 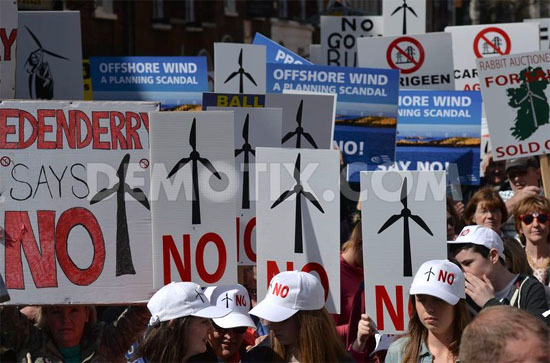 After the results of the Draft Guidelines proposing to keep the 500m setback distance that all groups were vehemently opposed to, as well as elections in May, it is vital that we use this opportunity to show the government and politicians what we are made of and that we wont be overlooked and brushed aside any longer! 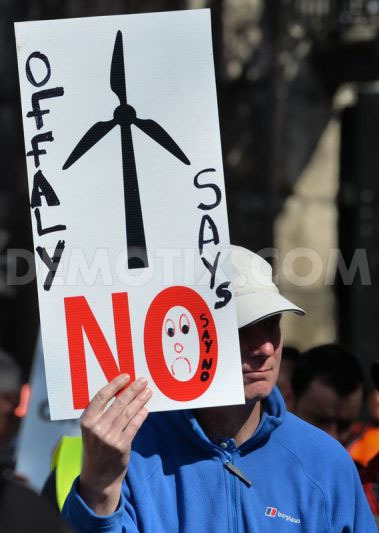 Senator Thomas Byrne: will be attending rally in capital. 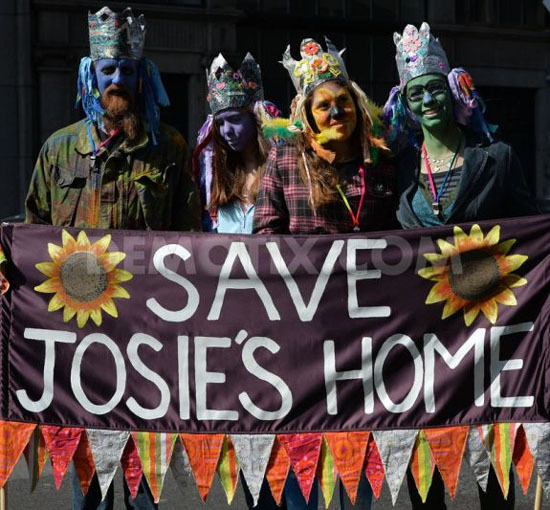 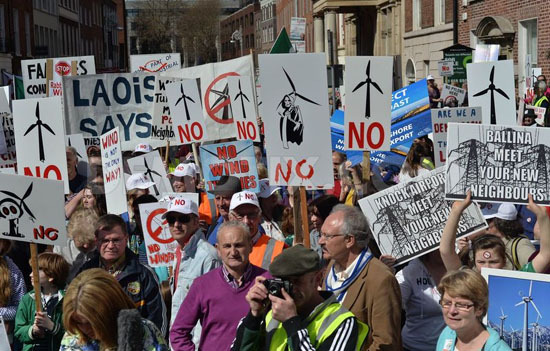 UP to 10,000 people are expected to march in a 'monster rally' uniting opponents of wind turbines and pylons. 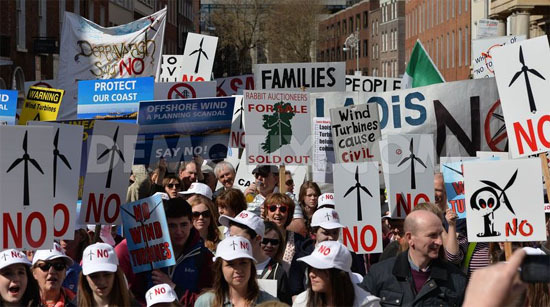 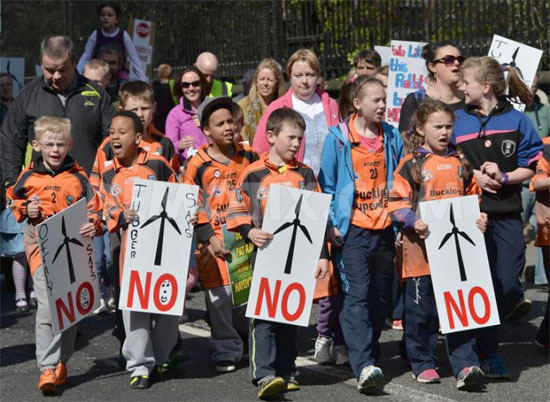 A new group 'Wind Aware Ireland', combining groups opposed to overhead high-power cables and accompanying pylons and those against wind farms, has been strongly lobbying politicians ahead of the May 23 local and European elections. 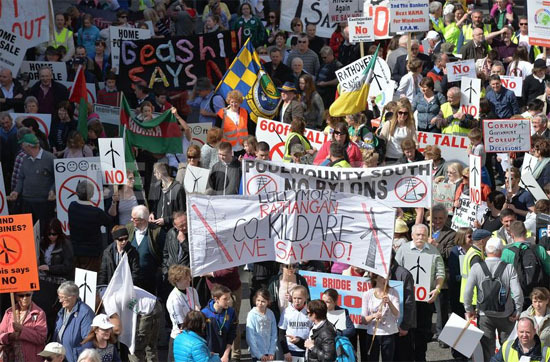 "People in the countryside and smaller towns feel their concerns are being ignored by this Government. 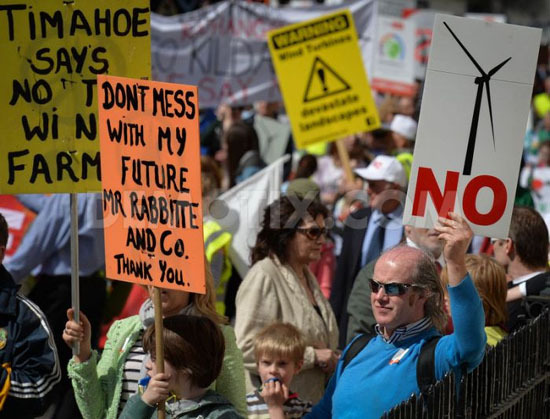 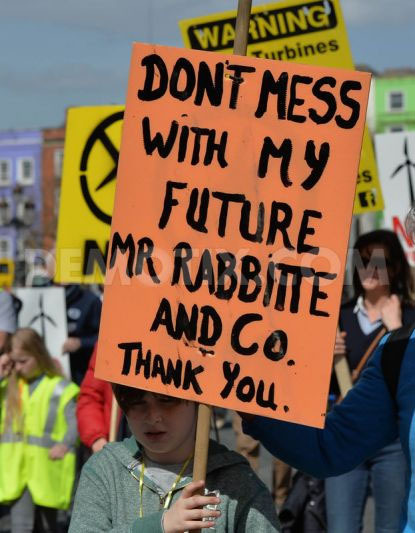 I'm also very sceptical about Energy Minister Pat Rabbitte's sudden about-face on windfarms so soon before these upcoming elections," he said. 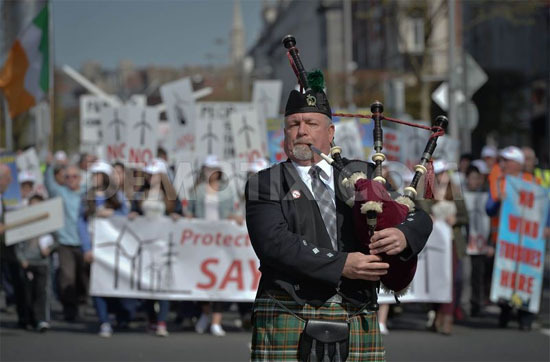 The event organisers hope that the Easter school holidays, which started last Friday afternoon in many schools, will help swell numbers at tomorrow's event.